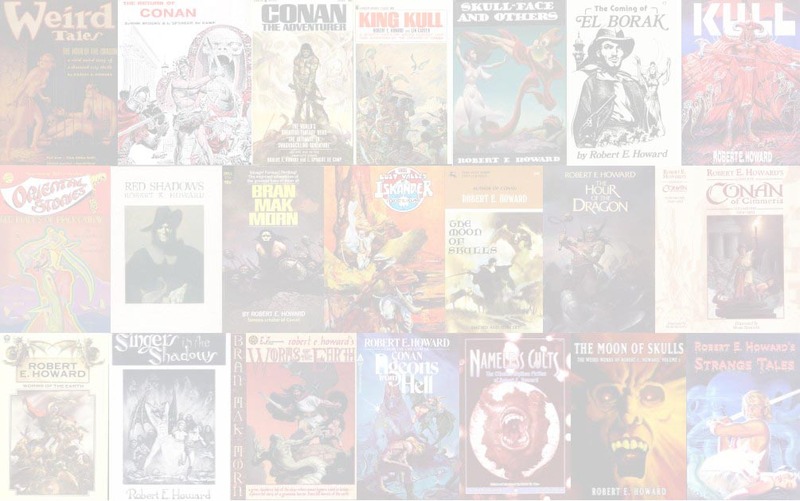 "Three Bladed Doom" features El Borak and has both a long (42,000 words) and a short (24,000 words) version. 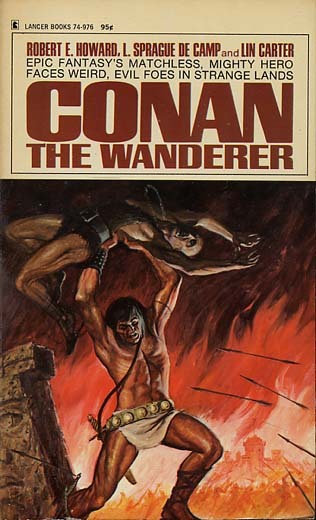 L. Sprague de Camp rewrote the long version into a Conan story titled "The Flame Knife." Lancer went backrupt in 1973, but there were numerous later printings by Prestige and Ace, perhaps 20 or more printings total. The Prestige books are known to exist in at least two states. Some have "DISTRIBUTED BY ACE BOOKS" on the cover with Prestige Books listed as the publisher on the title page. Some have "ACE" on the cover and are stamped with "Prestige" on the copyright page. There are also U.K. editions published by Sphere.